As a professional photo lab we can custom print up to 44" x 90" in size. Your image is printed on 12 mil high quality luster photo paper, using our state of the art equipment with ultrachrome inks and media that ensure 100+ years stability. Each image is checked for optimum color and density before printing, and a test proof is printed for your approval. Questions about size, resolution or quality? We are here to help. Give us a call, send us an email, or drop by the store for expert advice. If you are planning on framing your enlargement we recommend smooth foamcore mounting anything over 11x14. In an environment with excessive heat or humidity. A large unmounted print can expand and contract over time causing it to ripple and sag. 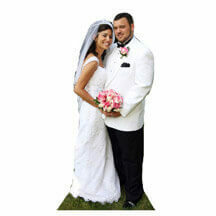 Mounting eliminates this effect preserving the longevity of your print. When you order enlargements, you can choose various mounting options. 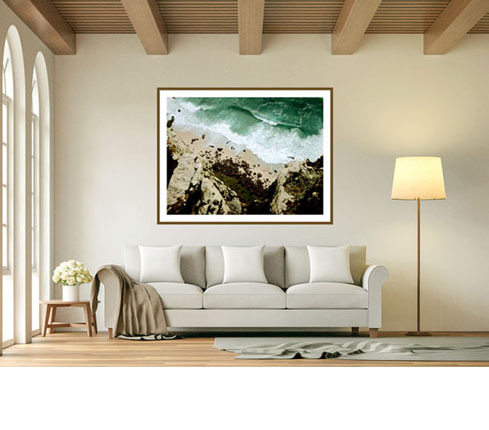 Do you have a collection of photos you want to display in a creative way? Try a collage print! 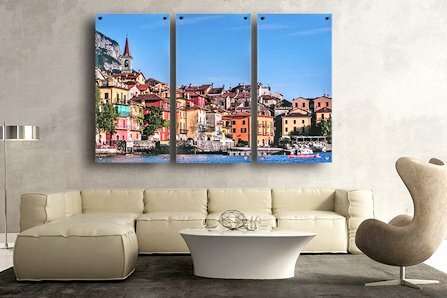 These prints are a perfect way to display groups of photos. Select a “freestyle collage” which allows you to completely customize your design. Or pick one of our template patterns for a drag and drop option.